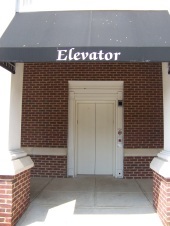 Guess Who Unretired for this Elevator located at the Mint Museum Plaza in Charlotte, NC? Westinghouse Elevator at Macy's Store at Gwinnett Place Mall in Georgia? Did They Change the Voice on this Elevator at the Hilton in Atlanta, GA? Hyatt Place at Norcross, Georgia has Mowery Elevators? Room Tour of the Hampton Inn at Norcross, Georgia with Fujitec Elevators! Do You Think This is the World's Largest Computer Store?